I may be a food blogger, but the boyfriend and I can also be creatures of habit. When we find a restaurant that really satisfies us, we'd go back there again and again. Ordering the same things that impressed us the first time. 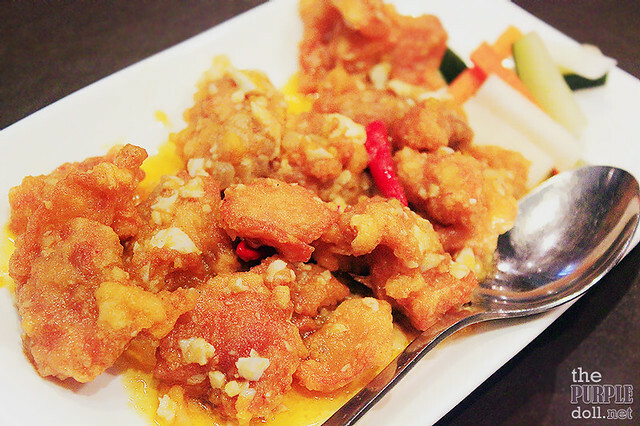 Such was certainly the case after we got a taste of Wee Nam Kee's Yellow Chicken last year. We've been back countless times just to have more. Fortunately, Wee Nam Kee decided to offer a new set of dishes this year. 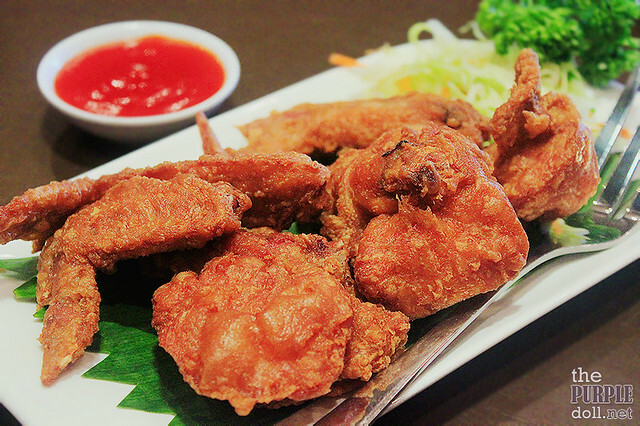 With the unveiling of their Culinary Treasures of Singapore, we now have more dishes to get hooked to! Yay! 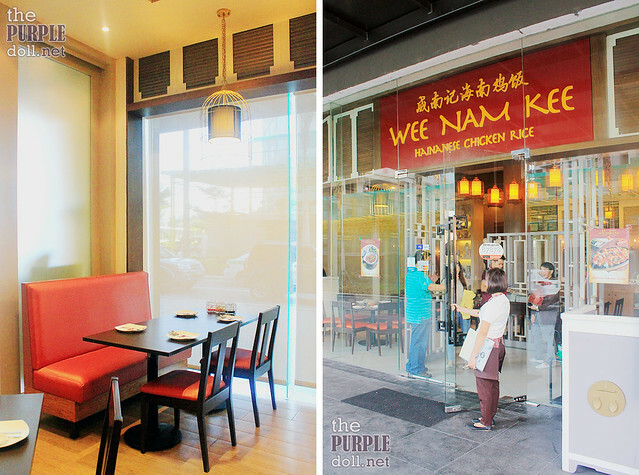 When we first visited Wee Nam Kee in Glorietta 2 last year, I knew it'd be my favorite branch. It might not be the nearest from my place, but I just love how spacious it is, with good amount of natural light illuminating the dining area during the day. There are also beautiful touches of shabby chic which I really dig! 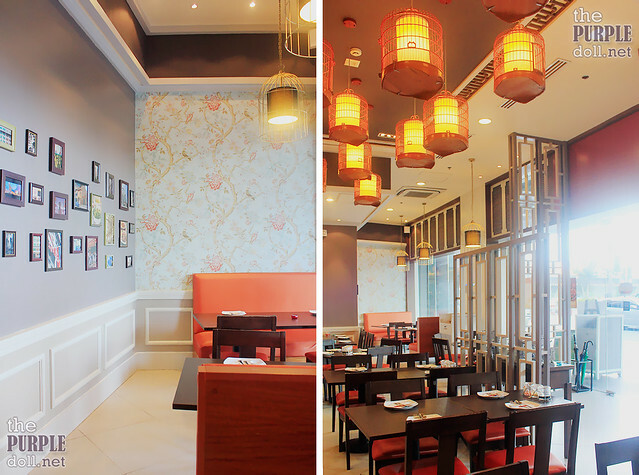 It might not be the top-of-mind interior design for a Singaporean restaurant, but it makes the place feel elegant but still laid-back. Wee Nam Kee rolled out over 30 new dishes this year, so I'm sure glad I had my boyfriend and my food blogger friends with me. So now, let the food comma begin! To start off our late lunch, we had this very straight-forward appetizer of fried mantou bread served with condensed milk for dipping. 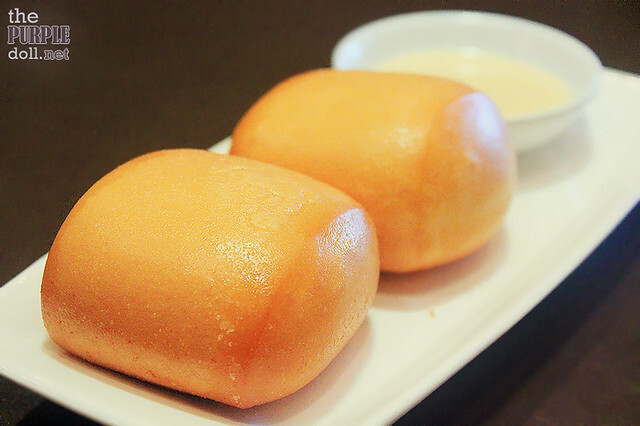 This is a popular snack in Singapore, a dessert-esque way to enjoy mantou bread. I've had this preparation a few times before, but it still gets to me every time. Sometimes, keeping it simple is the way to go! We also nommed on these chicken wings to whet our palate. Just like how good wings should be like, these were crispy on the outside, and flavorful and juicy on the inside. There were only hints of the prawn paste, so that could be improved. But overall, this (sans the sweet dipping sauce) is an appetizer kids and chicken wing lovers will dig. Not really a main entrée, but let me start off this sub-category with this beautiful serving of noodles which can well be a complete meal in itself. 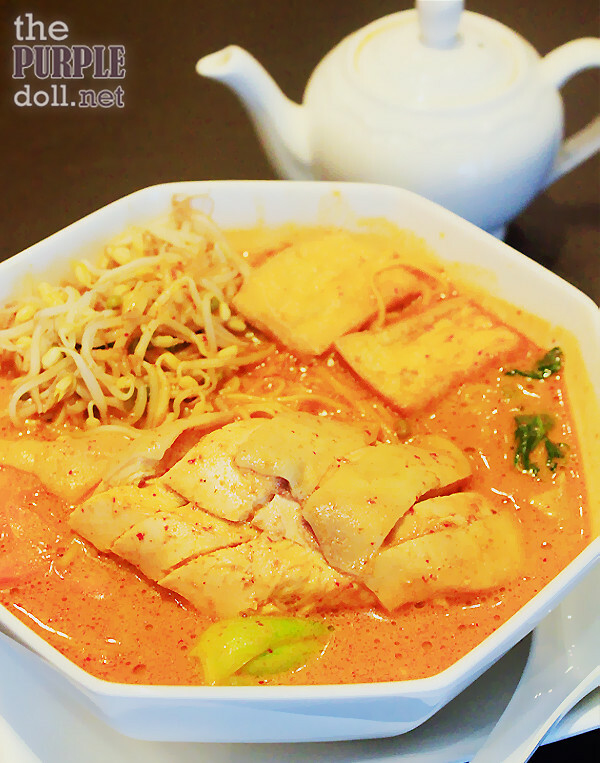 I love Hainanese chicken, and I love laksa, so what better way to eat them than to enjoy them both at the same time. Served with the spicy and flavorful broth on the side, this noodle dish comes broth-less with beautiful slices of chicken layered on top. It also has bokchoy, beansprouts and tofu skins that make every mouthful all the more satisfying. 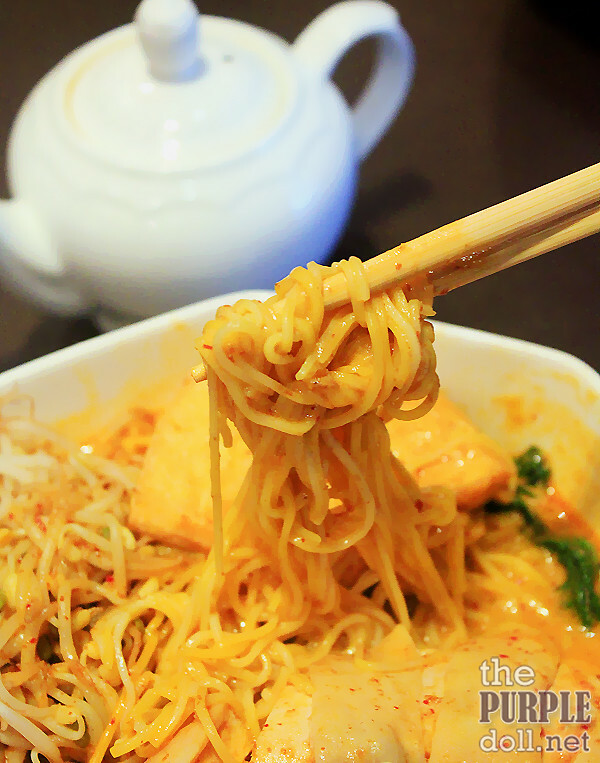 While I normally prefer thicker noodles, with this bowl, I think the use of thin rice noodles was perfect! It might not be the standard for Singaporean laksa, but it gives Wee Nam Kee's rendition its own character. The noodles, along with the other toppings, soak up the creamy broth nicely. And in case you find yourself craving for more of the spicy, earthy and simply-delish laksa soup, correct me if I'm wrong, I believe they allow refills. I'm not too fond of coffee spareribs, but I just can't help myself from getting hooked with this serving. 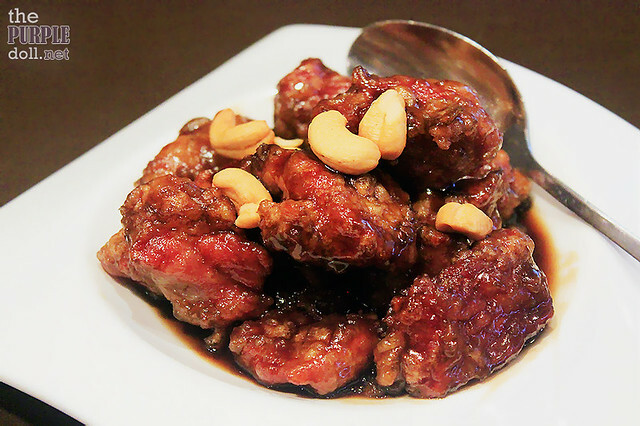 The spareribs itself has a hint of crispness on the outside, beautifully coated with the sticky, bittersweet, savory and nutty coffee glaze. Texture is spot on too, as every bite from the spareribs gives off that tender and succulent meaty goodness. And while this is a perfect partner to rice, I have to admit that it's more enjoyable for me to nom it like how you would with finger foods. In short, masarap papakin! I may not be a crazy salted egg fan, but my tablemates were very much delighted when this plate of rich, salty and yolk-y chicken goodness was served. Encased in a soft, somewhat gelatinous outer layer, every piece of this chicken dish was oozing with umami. I found myself digging in, but my friends were the ones clearly hooked! Whether you eat it as is, or pair it with rice, this dish is sure to please. 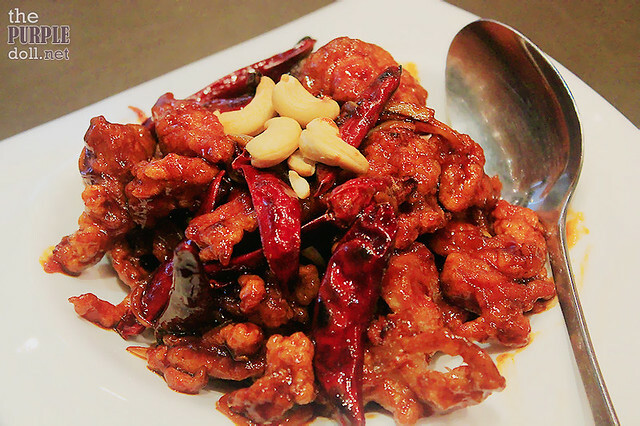 Unlike the previous dishes which exhibit more restraint when it comes to flavor, this next chicken dish seemed to prove otherwise. Every mouthful unleashes bold flavors. A little sweet, more savory, and spiced to please spicy food lovers, this is an intense dish you'll likely find next to a serving of plain, steamed white rice. I don't usually enjoy eating layers of pork fat, and for a good reason. Unless, it's from braised pork belly that's paired off with steamed mantou. And you guessed it right! Stopping myself from indulging on this sinful treat this time will only end in vain, so my mouth just found its way to the tender, succulent and flavorful pork belly with layers of fat that melts like butter on the palate, sandwiched in the soft, pillow-y mantou. Yum! 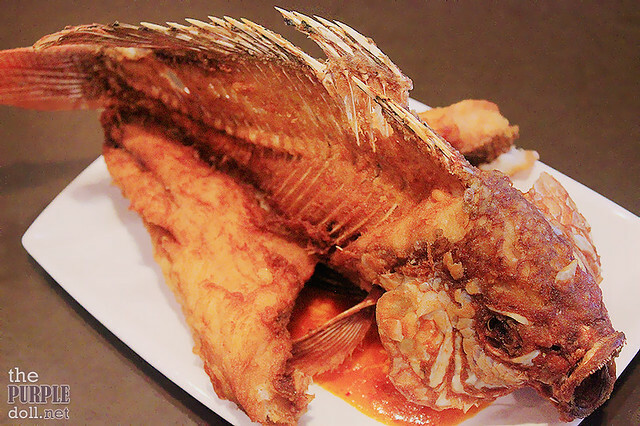 Whole fish, especially when fried, may not be the most attractive-looking dish. However, this was prepared really nicely for convenience. Since it's butterflied, one can easily get a portion of the tilapia and dip it in some of the Singapore chili crab sauce underneath. Fried to a crisp on the outside, but still moist on the inside, I can say that I enjoyed this 800g of simple fish entrée, though I tried to save more tummy space for the other dishes. Sweet and sour-anything and I have a long history, which is probably why I eventually got tired of it. 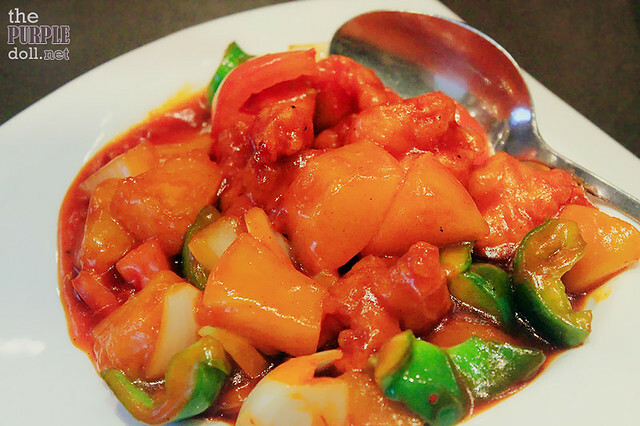 And while this prawn dish is drenched in sweet and sour sauce, the addition of lychee and peaches is a very welcome change that added a fruity and refreshing note while also giving off sweetness. There were also some pineapples in it that provide the sour component. This is definitely a nice change from the usual sweet and sour entrées. For carbs, we had this tasty fried rice that can actually stand on its own. 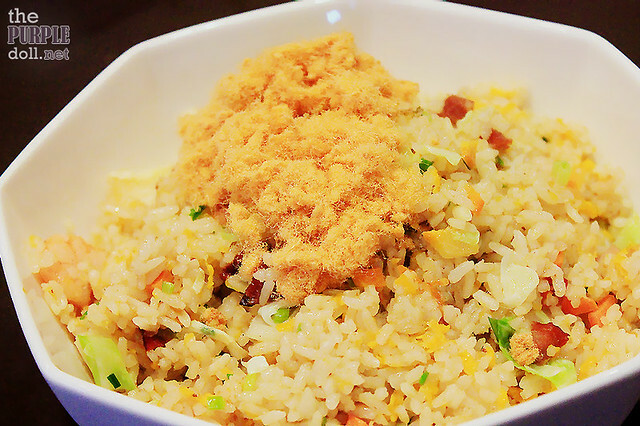 While I recommend ordering plain rice with most of the main dishes, since a lot of them are very flavorful, fried rice lovers can still find delight in ordering this pineapple fried rice with bonus of pork floss on top. 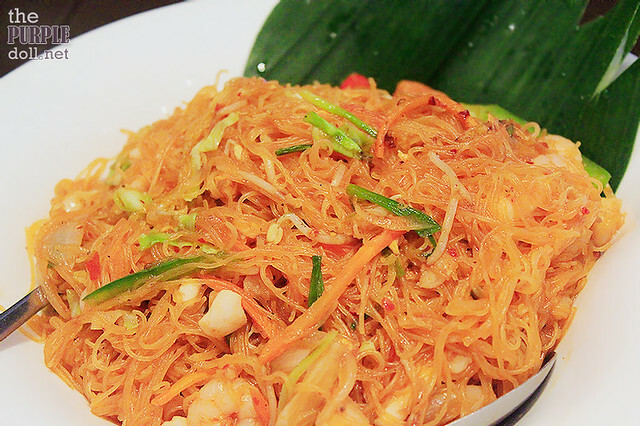 For those who crave for dry noodles, Wee Nam Kee offers this sambal sauce-infused rice noodles. Served tinged in orange, every mouthful of this gives off a good amount of heat along with the umami of the sambal. I wish they'd offered a personal size of this noodle dish though as I see it as a good item for merienda. While Wee Nam Kee is best known for its Hainanese chicken, another one of the boyf's and my favorite is their Mango Sago Pudding. And it's not only my favorite in this resto, but is one of my favorite desserts of all time. For this trip though, we skipped on that one to give way to another satisfying dessert. 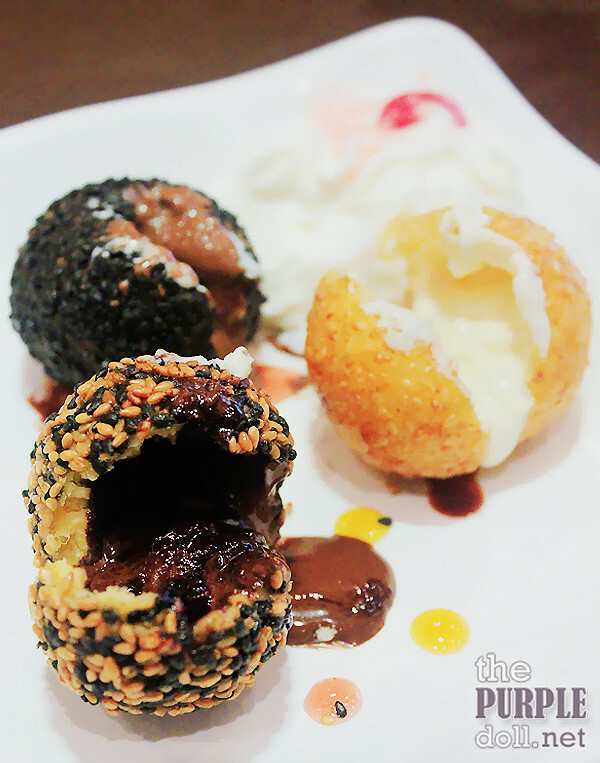 This time, we had this plate of three pieces of buchi filled with three kinds of chocolate -- dark, milk, and white chocolate. All of them are really good, with a nice crisp on the outside and a gooey, overflowing chocolate explosion on the inside. But of course, at the end of the day, I still find myself oohing and ahhing for the dark chocolate variant. 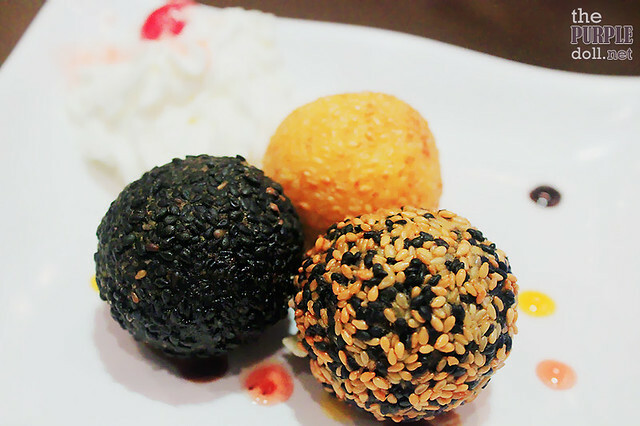 Wee Nam Kee, can you please make an all-dark chocolate truffle buchi? Pretty please? 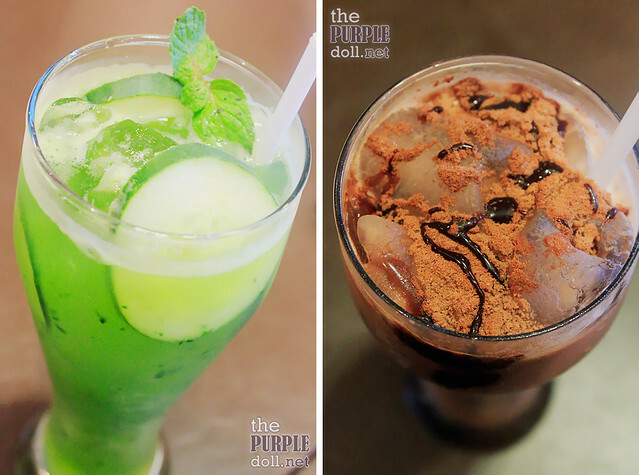 There are also new beverages included on the menu, and we got to try four of them. Each and every one was refreshing and good on its own right. 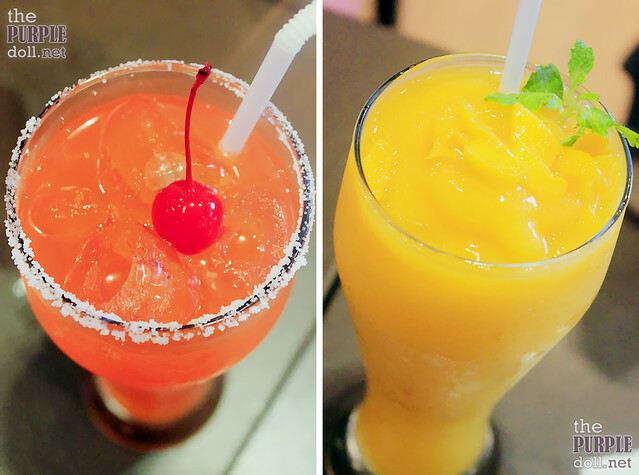 But for something more thirst-quenching, I say the Cucumber Lime Refresher and Mango Mint Smoothie are good options. For something more fancy yet still very refreshing, there's the Strawberry Passionfruit Cooler that looks more like a margarita. And for the kids and kids-at-heart, there's the Milo Dinosaur which is iced milo drink with milo powder on top. Wee Nam Kee has always been one of our favorites, even back when they used to offer fewer dishes. Now that they rolled out a bunch of new ones, I can confidently say that Wee Nam Kee will still remain a favorite. Apart from their great Hainanese Yellow Chicken and Cereal Prawns, there are now more dishes to get hooked to and even more reasons to go back. If ever you haven't been to Wee Name Kee yet, I recommend you to do so now as there's definitely a dish or more for everyone. And if you've been to Wee Nam Kee before, but haven't been back sooner, then now is the perfect time to visit to rekindle that old flame while finding new surprises to fall in love with. Creatures of habit---Oh I just realized that we're different in that way. My boyfriend does not like returning to the same restaurant he's already tried. So we really put effort in deciding where to eat every time we have a date (once a week)! :)) There are few exceptions, of course. I've been wanting to treat my family here at Wee Nam Kee. Everything looks like a must-try. Wow, the food looks amazing! Nagutom ako bigla while reading your post! Unveil the Princess in You at SM North EDSA!